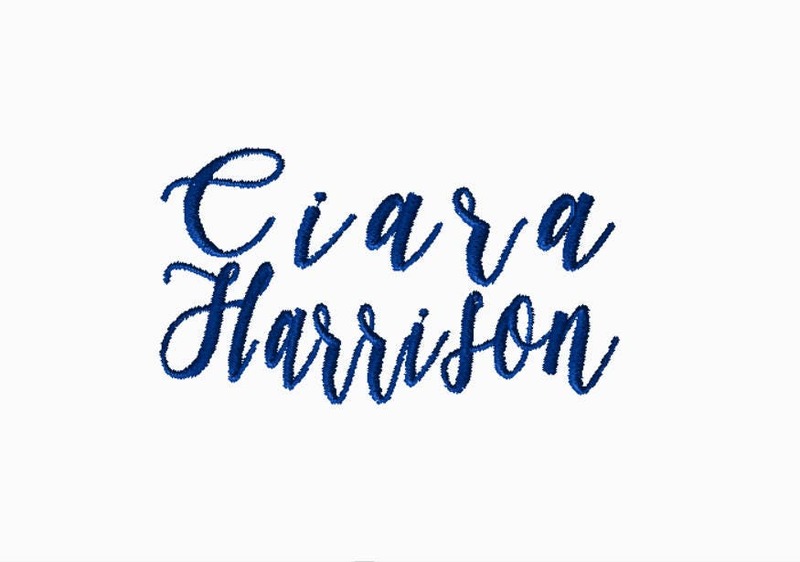 Please message me with the customized name you'd like to have on your embroidery file. Message me BEFORE you purchase so I can create a custom file just for you! The fonts in the example pictures are the fonts you can choose from. If it's easier for you, simply send me a screenshot of the font you'd like. These embroidery designs are not to be altered, resold, resized, or changed in any way. You may use our designs to make and sell items for personal use or for small business use. This means you CAN sell anything you make with this pattern on it. However, you MAY NOT resell this design or use any part of it to create other designs for purchase. EMBROIDERY FILE CONVERSIONS: I trust that, if you are ordering the files you need, you know what file you need that corresponds with your machine. Please be sure you order the correct file/size before you pay and have me convert it for you. The sizes are measured in mm to insure accuracy. When you know what file/size you need, please message me FIRST. Do not buy an embroidery file first. I will need to create your file and let you know if it is “do-able” before I take any payments. Some files corrupt when converted, so please understand that not all files are compatible. However, I will try my best to accommodate everyone’s wishes. If I know a file is not going to be compatible, I will let you know ahead of time so you do not purchase the file. I will only sell you a file that I know is going to work.